I want a functional space for the twice a year dinner party, but can be purposeful on an everyday basis as well (like my farm table). My dining room is occupied by a gigantic 9 foot elephant, but I can appreciate an intimate space for entertaining. This got me thinking about my dream dining room and what it might look like, which sent me on a quest to Pinterest. 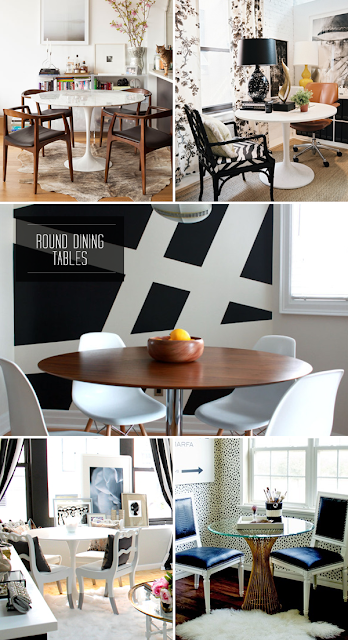 I've compiled my favorite dining room pins here. 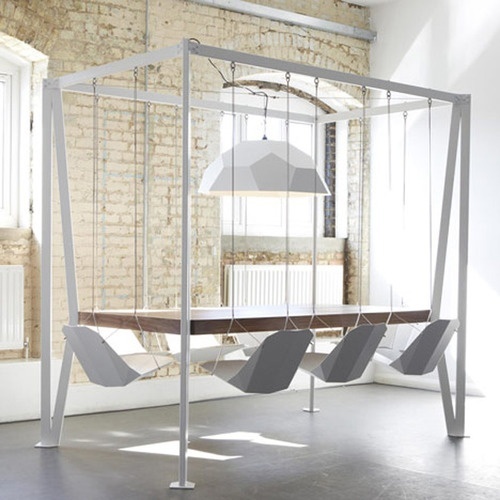 Lofty Lovin featured an amazing loft space with this swingin' dining room. Who doesn't love to swing? I'm not a huge fan of pink, but this dining room is spectacular. A tulip table is always a fantastic choice. These image are from Sentrell Design Studio. 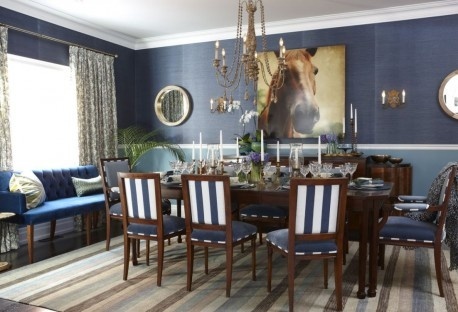 A Life's Design blog featured this dining room a few months ago. The slipcovered sideboards break up some of the wood tones that usually feel heavy in a formal dining room. Sarah Richardson is one of my absolute favorite designers, so she gets TWO places on my dream list. 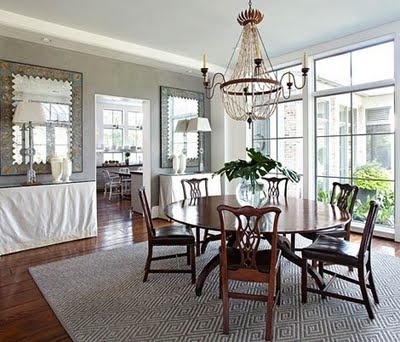 This casual dining space from Sarah Richardson's lakeside cabin uses painted banker's chairs and an old farm table. Ah, slipcovers! Bring on the bacon hands kids, they are invincible. I don't care for the sloppy ones, but a crisp, tidy fit makes me love the versatility of slipcovers. Today we're linking up with The House of Hepworths!